The newest addition to B&M's line of SuperCooler fluid coolers is the Hi-Tek cooling system. Fitted with a high quality 12 volt electric fan and built-in mounting brackets, these coolers handle tough cooling jobs. 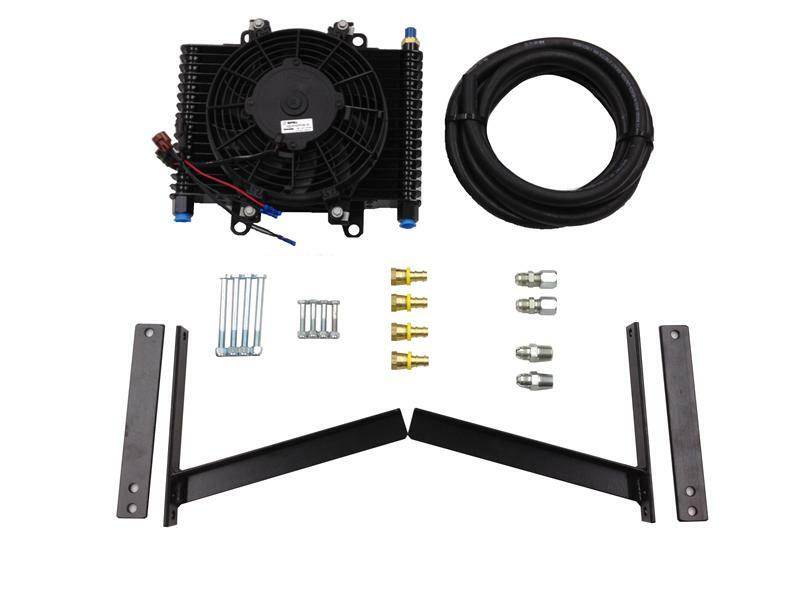 They include a thermal switch to activate the fan when the fluid temperature reaches 175 degrees F. Can be used for racing, RV and street performance vehicles. Suitable for all fluid cooling needs including: automatic transmission fluid, engine oil, differential fluid, power steering and turbocharger oil in circle track, road racing, off-road, tractor pulling and monster truck applications. 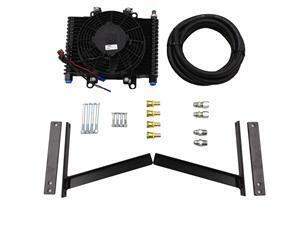 Hi-Tek Automatic Transmission Cooling System 13-1/2"x9"x3-1/2" with 9-1/2" diameter fan.